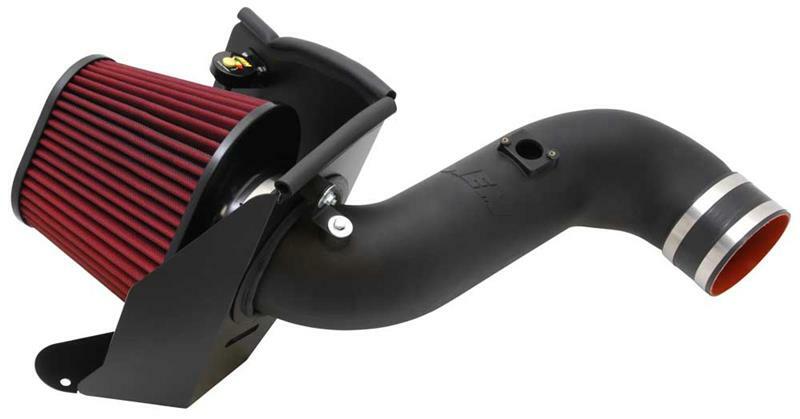 AEM (Advanced Engine Management) is proud to release its Brute Force HD intakes for diesel applications with a massive DRYFLOW filter element! AEM Brute Force HD intakes are available for popular late model Cummins, Duramax and PowerStroke Diesel engines. We engineer our Brute Force HD intakes to deliver maximum flow, filtration and durability for heavy duty applications and they even outperform the company’s BRUTE FORCE intakes for these vehicles in both dust holding capacity and filter flow. AEM’s reusable DRYFLOW air filter for its Diesel applications is engineered to allow for longer service life and higher efficiency for maximum performance in between servicing (more DRYFLOW key features are below). Compared to the standard 9” Brute Force Dryflow Filter, the Brute Force HD Dryflow filter features over twice the surface area of filter media and utilizes deep, bull-nosed pleats to improve dust holding capacity and increase intervals between cleanings. The DRYFLOW does not use oil to trap dirt, which eliminates any chance of overoiling the filter element, takes the guesswork out of servicing your filter and dramatically reduces filter cleaning time. 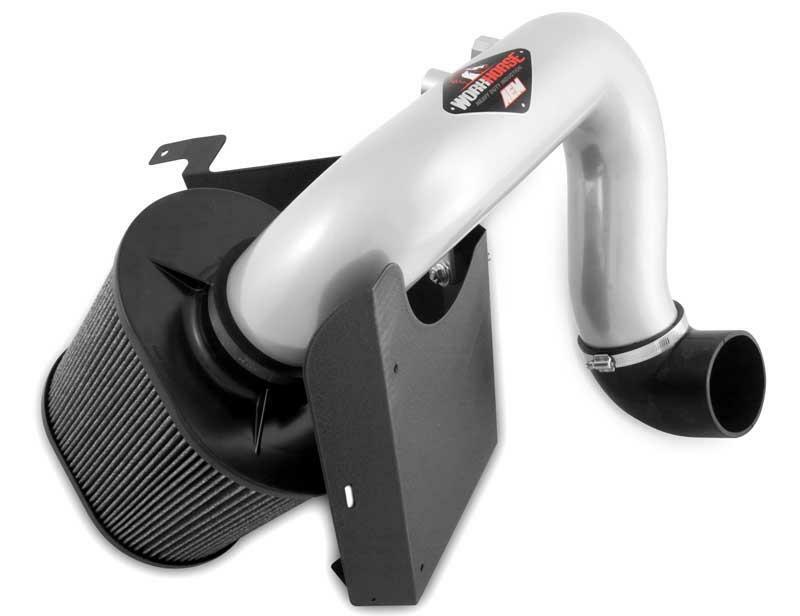 AEM manufactures its BruteForceHD intakes from mandrel-bent, lightweight 6063 aluminum with high-strength dogbone brackets and dual rubber soft mounts for maximum durability, and includes a heat shield (when applicable) with a powdercoated black finish, a complete hardware kit and comprehensive photo installation instructions. Brute Force HD intakes are available with a gunmetal powdercoat or mirror-polished finish. AEM’s lifetime DRYFLOW Synthetic air filter is 99.53% efficient in FINE DUST testing, filters dirt as small as one micron, and never needs filter oil! An injection molded ABS plastic filter lid and base provide increased structural rigidity – it’s virtually impossible to collapse! Will not void your vehicle warranty!